Holly Holderman is well known for the excellent patterns she creates for LakeHouse Dry Goods and this one does not disappoint. 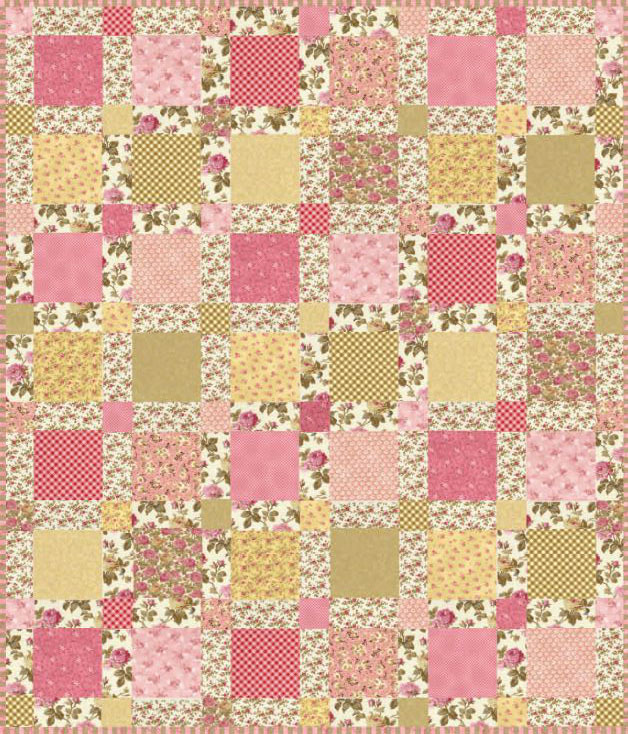 This will be a fun project suitable for calico and floral prints or perfect for the LakeHouse Dry Goods fabrics listed in the pattern (if you can still find them: if you're interested in creating this quilt exactly as in the pattern you should run Google searches for the individual fabric sku numbers listed on the first page of the pattern- for example LH06048 is the manufacturer number for the backing). 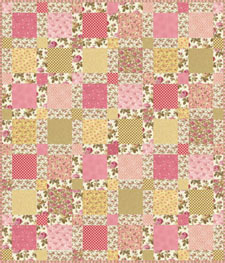 This basic project will be a delight for any skill level of quilter.